And check out page 21! 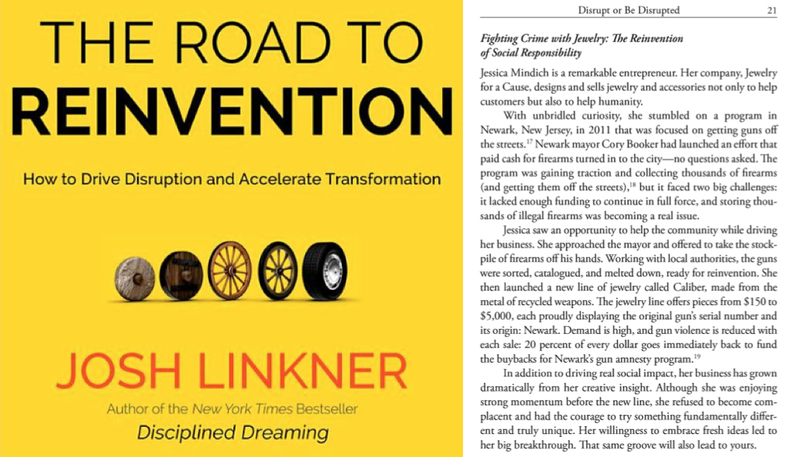 This entry was posted in Newark, NJ, Press and tagged Accelerate Transformation, Caliber Collection, Cory Booker The Road to Reinvention, Drive Disruption, Fighting Crime with Jewelry, gun amnesty program, illegal firearms, Jessica Mindich, Jewelry for a Cause, Josh Linkner, New York Times Bestseller, Newark, recycled weapons, Social Impact, Social Responsibility by Caliber Collection. Bookmark the permalink.